Successfully Added Android Watch Phone ZGPAX S99B - SIM Card Slot, 3G, WiFi, 5MP Camera, Heart Rate, Pedometer, Sleep Monitor, Quad-Core CPU to your Shopping Cart. 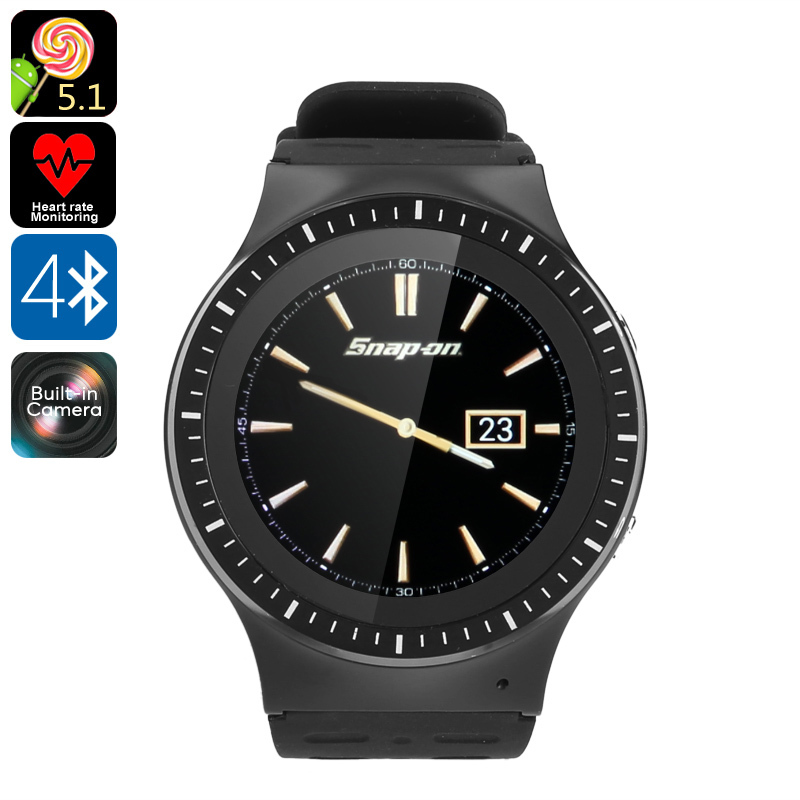 The ZGPAX S99B Smart Watch is a sophisticated Android watch phone that lets you browse the web, send messages, and engage in phone calls straight from your wrist. Featuring its own 3G SIM card slot, this phone watch is capable of operating entirely on its own without it needing to be connected to your Android smartphone through Bluetooth. Supporting both mobile 3G networks as well as WiFi, this certainly is one of the best cell phone watches that brings along great efficiency and connectivity on the go. Running on an Android operating system, this phone watch lets you enjoy all features you’d normally expect to find on your Android phone straight from your wrist. Make calls, send messages, browse the web, and enjoy Android applications – nothing is too much for this cool Android watch phone. Its 1.33-Inch touch screen display brings forth great and sharp visuals that let you enjoy all its Android software tools even while out in the bright sun and with its 450mAh battery it provides you with 2 hours worth of time to browse the web and 72 hours of standby time. Along with its regular phone watch features, this Android smart watch furthermore comes with a number of smart health and fitness tools such as a pedometer and heart rate monitor that are there to support you during your upcoming workouts. Its sleep monitor additionally makes sure that you’ll get the rest needed in between your workouts to stimulate the fastest possible muscle growth and recovery. Packed within its sleek body lays the MTK6589 Quad-Core CPU that brings forth a fast and powerful performance. It furthermore has been equipped with 8GB of internal memory for you to store all your files, media, and pictures. The latter can be snapped with the 5mp intergraded camera that this cell phone watch packs. Allowing you to snap photographs and HD video at any given moment, this Android watch phone guarantees that never again a single special moment in life passes by uncaptured. This Android watch phone comes with a 12 months warranty, brought to you by the leader in electronic devices as well as wholesale electronic gadgets..
Arabic: - مشاهدة الروبوت الهاتف - Chinese Simplified: - 安卓手表手机 - Czech: - Android hodinky s telefonem - Danish: - Android ur telefon - Dutch: - Android horlogetelefoon - French: - Montre Android téléphone - German: - Android Handy - Hebrew: - שעון אנדרואיד טלפון - Hindi: - एंड्रॉयड देखो फोन - Italian: - Orologio Android Phone - Japanese: - アンドロイド時計電話 - Korean: - 안 드 로이드 시계 휴대 전화 - Malay: - Android Watch telefon - Norwegian Bokmål: - Android ur telefon - Romanian: - Android ceas telefon - Russian: - Телефон Android часы - Spanish: - Android reloj teléfono - Thai: - นาฬิกา android โทรศัพท์ - Turkish: - Android seyretmek telefon - Vietnamese: - Android Watch điện thoại.